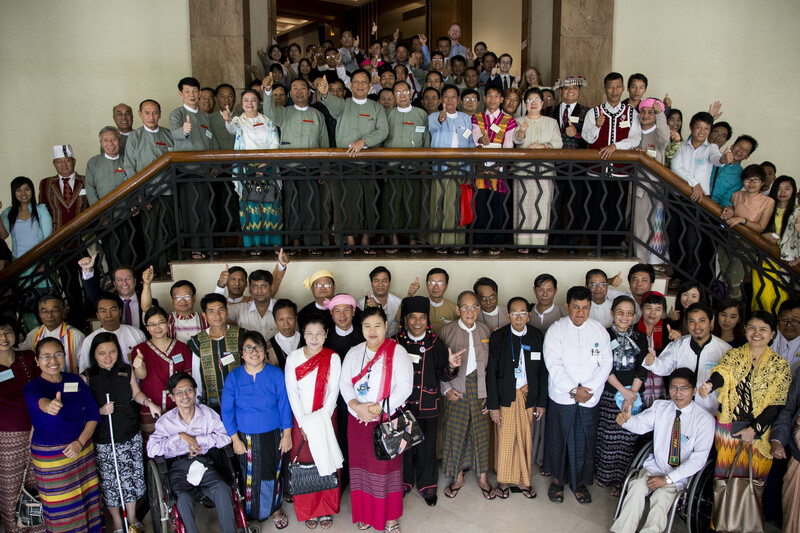 The Panglong Conference is attended by multiple stakeholders including women's organisations. Gender Concerns International supports the participation of female leaders at this conference and their contribution to the proceedings and outcome of this 5 days long multi-stakeholders interaction. On 22nd August 2016, Gender Concerns facilitated a high level consultation with Women’s Organisations in Myanmar. The event took place at the Best Western Green Hill Hotel in Yangon. It was an honour that the first resident Ambassador of the Kingdom of the Netherlands to Myanmar, H.E. Wouter Jurgens, attended as the guest of honour. H.E. 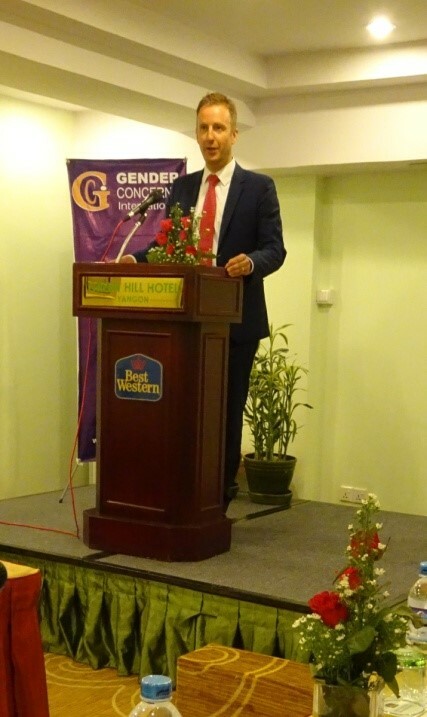 Wouter Jurgens commended the work of Gender Concerns International in Myanmar and emphasised the importance of active engagement by Women’s Organisations in the post-election phase. All participants were pleased with the event and the religious and ethnic diversity of the participants. The attending women agreed that regular meetings of Women’s Organisations are important to provide women with a platform to discuss a unified way forward. Moreover, the participants agreed that Gender Focused Electoral Reform should be a priority. The aim of the consultation was to promote women’s free and fair electoral engagement, paving the way for inclusive women’s participation throughout the electoral cycle. Programme Coordinator, Anne Flake, opened the event by welcoming all participants and invited them to give their valuable input. 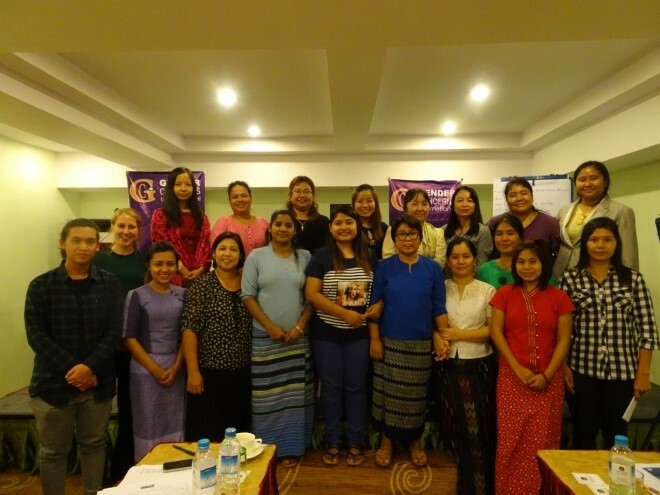 Representatives from leading Women’s Organisations and networks attended the consultation, including WON, the Myanmar Institute for Gender Studies and AGIPP. The engaged discussions were led by Daw Khin Ma Ma Myo, a well-respected expert on gender, development and international relations. On the agenda were discussions on the ‘Barriers of women organisations to fully participate in electoral process’ and the ‘Perspectives of women organisations on gender-focused electoral reform’. 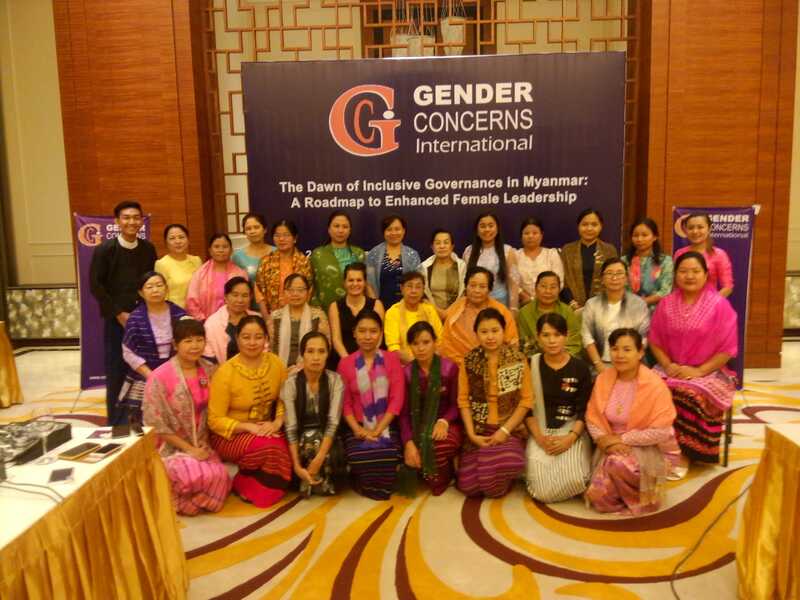 Female leaders of Key Women’s Organisations have evaluated and analysed the relevant recommendations made by various stakeholders and have come up with a follow-up Action Plan expecting support from Gender Concerns International and the Embassy of the Netherlands in Myanmar. On the 7th of June, Gender Concerns International will launch their Gender Election Observation Mission 2015 Report "The Dawn of Inclusive Governance in Myanmar". The launch, to be held in Novotel Hotel in Yangoon, Myanmar, provides opportunities for Gender Concerns to share, evaluate and discuss important topics related to political participation of women in Myanmar. The 2015 Gender Election Observation Mission (GEOM) Report will be presented, and recommendations to national and international stakeholders will be shared. Representatives of the UEC, Women and Civil Society Organisations, and members of the international community confirmed their attendance, and will engage in discussions on women’s social and political participation in Myanmar. The report launch will signal a new dawn in the process of Myanmar women’s political and social participation by fostering conducive environment for enhanced women’s political participation and gender-focused electoral reform strategies. 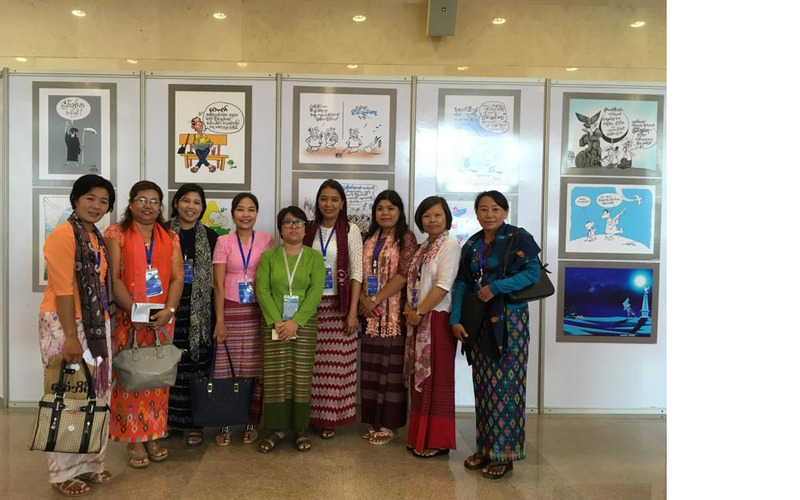 From the 29 February - 1 March 2016 the team from Gender Concerns International Myanmar office attended the UEC National Post Election Conference. Staff attended a variety of breakout sessions including 'Gender Equality', 'Election Observation' and a variety of plenary sessions. A side meeting was also held with the Union Election Commissioner in charge of International Observation, Dr. Daw Myint Kyi. Issues discussed included future engagement with the UEC, the current Memorandum of Understanding, female representation in the UEC and need for capacity-building on gender issues within the government and the UEC.